Kiwi fast bowler Trent Boult surged to third in the rankings for bowlers after finishing with 12 wickets in the series against India. ICC ODI Rankings: Virat Kohli-led Indian cricket team rose a rung to clinch the second spot in the latest ICC ODI rankings released on Monday. 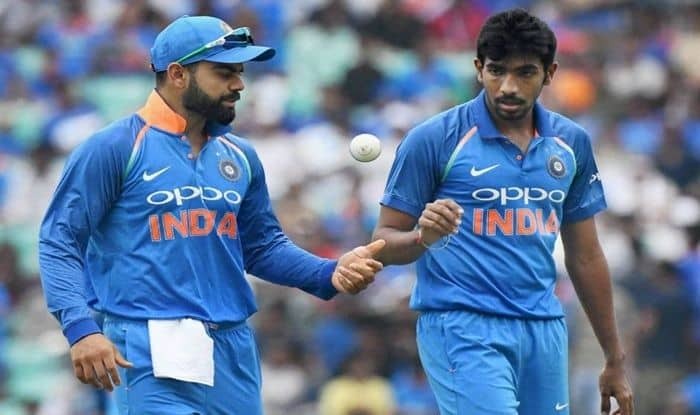 Captain Kohli and pacer Jasprit Bumrah continued to top the respective charts for batsmen and bowlers. After registering historic series wins over Australia and New Zealand, Team India has accumulated 122 points. The men in blue are now behind top-ranked England (126) in the fresh list, the ICC said in a statement. The 29-year-old left-armer, who swung the ball prodigiously to claim five for 21 and helped New Zealand to a win in the fourth match, has moved up seven places. Boult topped the rankings in January 2016, and is again on his way up, with only Bumrah and Afghanistan leg-spinner Rashid Khan ahead of him. The latest update also takes into account India’s preceding three-match series against Australia, the five-match series between South Africa and Pakistan, and the three matches between the United Arab Emirates and Nepal.